YANGON, Myanmar (AP) — Thousands of cows and goats grazed in abandoned fields and wandered through charred-out Rohingya Muslim villages after a military crackdown sent nearly a half-million members of Myanmar’s long-persecuted religious minorities fleeing across the border. Now, more than a half-dozen witnesses told The Associated Press, soldiers and police are cashing in on the humanitarian catastrophe. They all spoke on condition of anonymity because of security concerns. In Rakhine state, where village after village has been burned to the ground, security forces and local administrators have been collecting the livestock and bringing it to Buddhist-controlled areas. 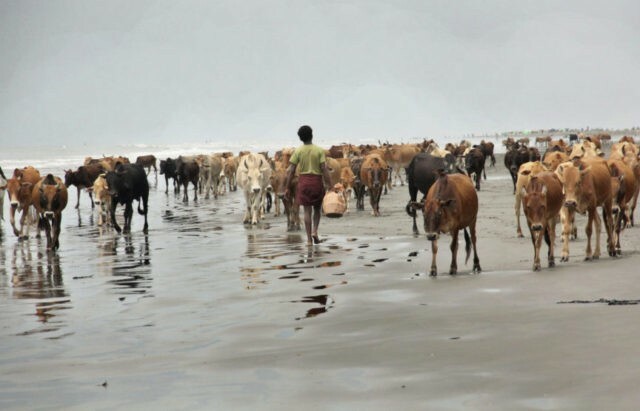 From there, cows are being taken to the state capital, Sittwe, where Rohingya displaced by earlier violence in 2012 have been living in sprawling, apartheid-style camps that have been denied access to food and medical assistance.